Feeling successful is so relative to the individual person, but I know for me personally there are certain things I try to do every day to FEEL successful. 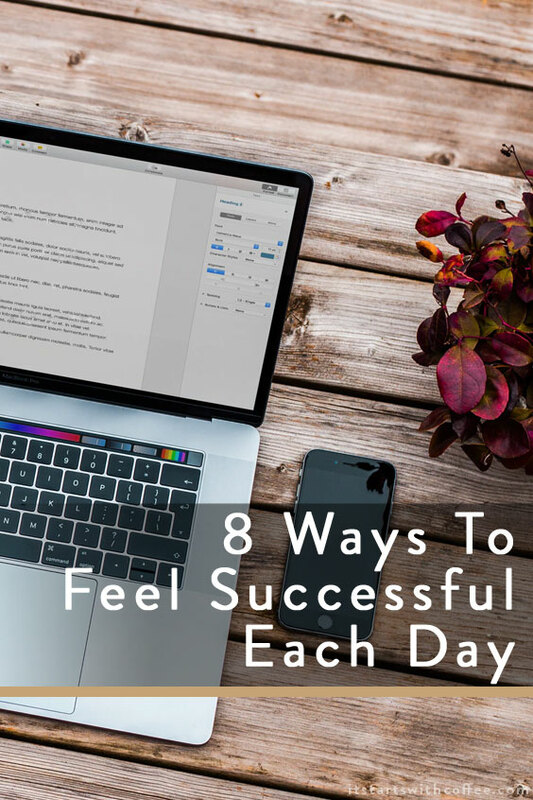 I want to share 8 ways to feel successful each day, even if you don’t get the entire to do list done. Clear out email: I feel like there are two types of people. Those who can handle red notifications and those like me who get anxiety looking at them. I will never understand when people say they need HOURS to respond to emails. But maybe I am weird because I respond to mine ASAP. If you never let them get out of control you never have this issue. Reply to comments: I try to respond to every social media comment I get. If a blog comment has a question or a really thoughtful comment I usually try to email the person directly! I think it’s important to respond as much as you can. Prep for the next day: I have talked before about how I lay out Liam’s and my clothes at night, make his lunch, pack my purse, and do as much “prep” as I can. I think it’s a great habit to get into and you will go to bed feeling A TON more productive and less stressed for the day ahead. Cook for yourself: Listen I do not make a 3 course meal daily and that’s not what I am talking about, but one thing I used to love doing was to go to Salata or Whole Foods and getting a massive chopped salad. So 2 years ago I bought my favorite purchase ever, my salad chopper. Now when I want a salad I make a very delicious chopped salad for myself. Something about this makes me feel very productive and successful! Also I saved $9 each time. Meditate: Why will this make you feel successful? If you are in a work lull and you feel like you’ve stared at the computer for 2 hours and haven’t done a thing? Meditate. You will have a newfound sense of what to get done and be twice a productive. Trust me. Do something for you: This could be a 15 minute walk mid-day or a face mask while you work through lunch, but do something for you so you can remove a bit of your stress. Stick to a to-do list: For me crossing each item off my to do list makes me feel successful. When I go to bed at night knowing I have accomplished all I need to that day I feel like so much stress is lifted. I feel productive and successful with my day. 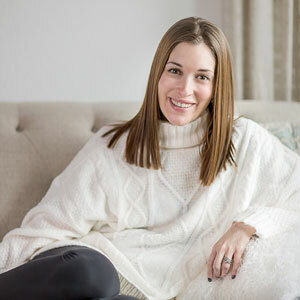 Get ahead on the next day/week: Each weekday night I make my list for the next day and if there are one of two things I can start I try to start them! But even making the list for the next day or in Friday’s case, making a list for Monday I feel already successful for that day! What are some ways to feel successful each day that you try to get done? I do most of these things every day, too. Especially the email inbox. That’s basically my to-do list so I like to get things done and clean that out all the time! This is exactly what I needed to read. 🙂 I felt so defeated today so thank you so much for reminding me that today has been a success. I’m feeling grateful. Thank you, Neely! Ugh I fell out of step with meditating and I really miss it. Things have been so stressful lately and meditating always brought me peace of mind. Thanks for the reminder Neely, going to try to get back into the practice. Great tips! I love to operate on a to-do list. It makes me feel accomplished and motivates me to get more done! Thanks for sharing! Thursdays are my day to clean house and check off the things on my to-do list. It’s sometimes overwhelming but it’s also a great feeling once it’s done! Such good tips! I never thought about sending a personal email to blog comments. That’s a great idea– definitely shows the extra effort! I do think prepping for the next day is important. Making a list is a pretty big thing as well. I think if I can check things off a list it helps a lot. I love this list! I think ending each day with a sense of success is so important. Making and completing to-do lists are my favorite ways to feel accomplished. Ooooooo love the list!!!!!! I always try to prepare for the next day right before I go to bed. Makes everything go so smooth in the am! I do a lot these already: cook every day, prepare for the next day, meditate, and so on. It is amazing how awesome the day with these!